Join us for our first ever dance-a-thon fundraiser! We’ll have great music from a professional DJ, refreshments and activities for the whole family! There will also be some great items up for bid and a sneak peek at some potential playground designs. A special prize will be awarded to the student who raises the most money in pledges. Come on out and have some dancing fun and raise some money towards a school playground! 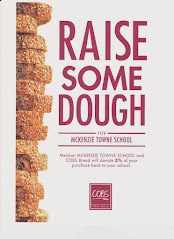 Theme: School Spirit – come dressed in the McKenzie Towne School colours! Pledge forms will be sent home next week and should be used to record donations received in support of our playground dance-a-thon. Additional forms can be downloaded here. All pledge funds raised will go directly to the building of a playground at our new school. If each family is able to raise $250 for this event, we will be able to achieve our goal for the playground very quickly. Everyone is welcome; donations will be accepted at the door for anyone who wishes to attend but has not collected pledges. Remember, any pledge or donation of $25.00 or more will receive a tax receipt. Pledge forms and raised funds will be collected at the dance-a-thon or can be returned to Haultain School by Nov. 27, 2009. Cheques should be made payable to: Parks Foundation-McKenzie Towne School. Email fundraising@mtsparents.com with any questions or if you would like to donate an item for bid.